Congratulations! You've been hired by a client to work on a project. Presumably, you have some expertise in the area, you have someone on your team who is knowledgeable, or you’ll be hiring somebody who understands what needs to be done. If you want to get out of the nine-to-five grind and stop "working for the man", so to speak, then consulting is a great way to go. What this means is you work as a self-employed person (or some cases, you work for a consulting company) on well-defined (usually) projects with a definite beginning and end. Generally, business use consultants to help meet short-term goals to avoid hiring new staff. Additionally, consultants can bring to the table specific technical expertise for guidance and support. If you play your cards right, you'll find the world of consulting to be very lucrative and rewarding. Sure, it can be stressful, but at least you have more control over your own destiny than you would have working directly for a company. I worked as the Vice President of Consulting for two different consulting firms for over a decade. Later, I took a position as the Director of Computer Operations for a major retailer, and remained there for almost 20 years. In that position, I hired many hundreds of consultants for small, medium and large jobs. Thus, I have a unique viewpoint because I've worked on both sides of the fence. I understand how to be a consultant, and I also understand how to hire and make use of consulting to get work done. This book provides some of the lessons I've learned over my 35-year career about managing consulting projects. 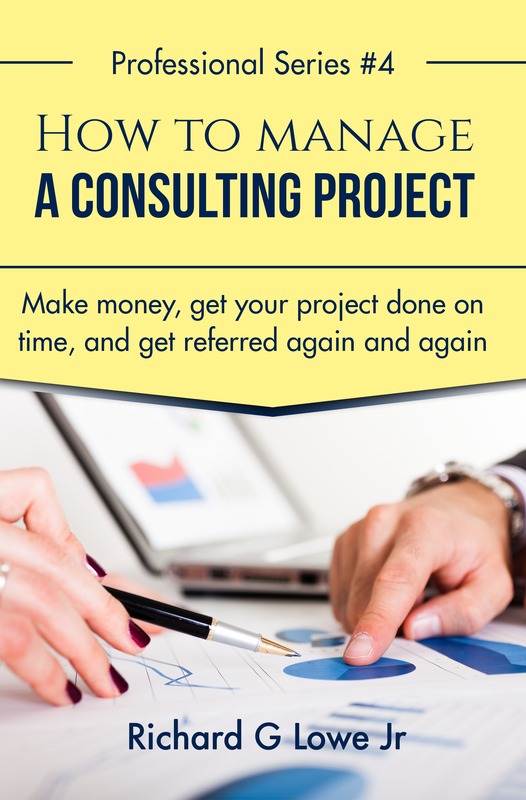 These and many other topics are presented in an easy-to-understand way so that you can successfully navigate the minefields of consulting to make a good living and keep the stress down. 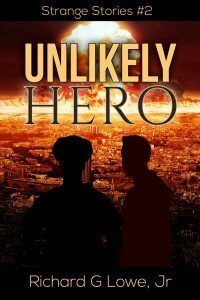 Scroll up and click the BUY button now to get your copy of this book. If you are just starting out, you will find the data to be invaluable. Experienced consultants will find plenty inside to help them with their projects and clients. Enter the lucrative world of consulting today! During my second semester in college, I arrived late at the twice-annual tradition of registration. To my dismay, the good classes were filled, and all that was left were a couple of computer courses with funny sounding names. This was long before computers were cool. In fact, I’d never seen one before and only knew about them from science fiction stories. I didn’t want to take a computer class, but there was nothing left, and I had to fill my schedule. I signed up, and by the end of the first day of the first class I was hooked. My teacher was a very tall man—almost 7 feet— and very knowledgeable and likable. His name was Fred, and after a single semester I knew what I was going to be doing with the rest of my life. Near the end of the semester, I was awarded my first consulting gig. This involved correcting some bugs in the general ledger programs that ran on a TRS-80 computer. At the time, this was the most modern machine that could be purchased. It came complete with 16kKB of memory and two 5 ¼ inch floppy disk drives. I was overconfident, underprepared, and very naïve. I had my eye on the $600 that was offered to complete the job and didn’t realize that I didn’t know how to fix the programs until it was too late. Looking back on those days, I realize I did everything wrong that I could possibly do wrong. I didn’t validate my assumptions, didn’t write an SOW, and didn’t terminate the contract when I found I was in over my head. Now, 35 years later, I’ve been a part of or managed over a thousand consulting projects. Some of these were small, lasting an hour or two, some required weeks of labor, and others needed teams of 20 people working for months at a time. Virtually all these projects were successfully completed relatively close to the budget and almost always on time. I learned there was a certain joy in delivering a service to a client of high quality and that met or exceeded the specifications. Those projects that didn’t go well failed in over 90% of the cases because of poor communications with the client. Conversely, those projects that succeeded did so primarily because of excellent communication between the client, the implementation team, and me. Good communication starts with the sales effort, continues by writing a high-quality statement of work (SOW), and proceeds all the way to the end of the project with the use of meetings, email, Skype, interviews, and the telephone. Of course, there are many other factors that go into the success or failure of a project. Obviously, a consultant must be competent and understand the service that he is selling, and must be able to manage and control the chaos that can happen in any activity involving many people. Change must be managed as well. A project that is otherwise going well can be thoroughly torpedoed and sink into the depths if change is not controlled properly. In this book, I’ll present many of the lessons I learned about how to manage a project from beginning to end. I’ll talk about what makes a project go right and the things that can go wrong.